Obituary for Gordon J Michau | Smith Mortuary, Inc.
Gordon J. Michau, 84, of Ratcliff passed away October 19, 2018. He was born January 10, 1934 in Morrilton, AR. 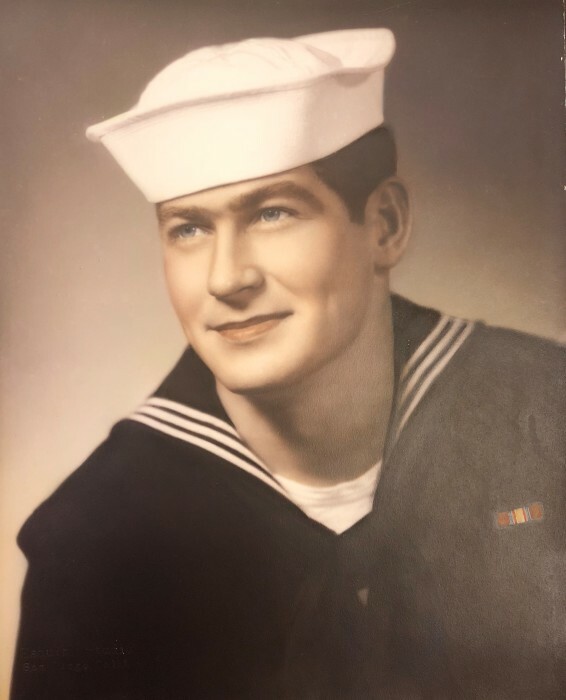 He served in the United States Navy as a Boiler House Operator and was a veteran of the Korean War. He retired from Tate & Lyle as an industrial mechanic. Gordon is preceded in death by his loving wife Sharon and his son Raymond. Left to cherish his memory is his daughter Roberta Berna of Arkoma, OK. and his youngest daughter Ann Michau of Ratcliff; one sister Cora Pierson, and a host of other family. A memorial service honoring Gordon’s life will be held 10AM Wednesday October 24, 2018 at Smith Mortuary Chapel. In lieu of flowers donation may be made to St. Jude Children’s Research Hospital at www.stjude.org or to any Shriners Hospital for Children at www.shrinershospitalforchidren.org.